This is the headquarters of Eyes as Big as Plates on a two month artist residency in New York's Redhook. 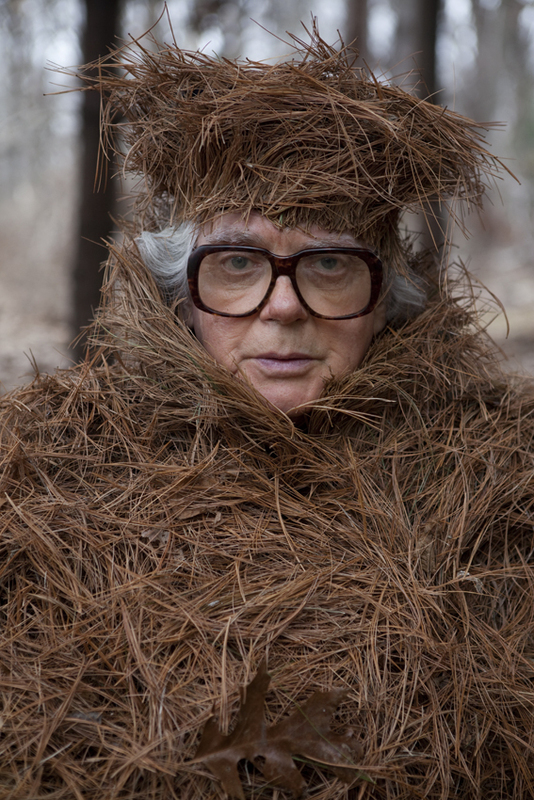 A collaboration between the Norwegian photographer Karoline Hjorth and Finnish artist Riitta Ikonen, Eyes as Big as Plates photography series explores older people's nature relationship. The residency was hosted by the Recess Session and located in the stunning Pioneer Works building in Brooklyn. This plastic hut was set up as a temporary measure to try to keep a small part of the studio warm in the winter. A precious Gigapan was also trusted in our care for documenting the process of photographing charismatic New Yorkers in the pockets of wilderness. Gigapan was quite a crowd puller whenever it was in action. Here we are at Forest Park in Queens, capturing Bob amongst the pine forest.